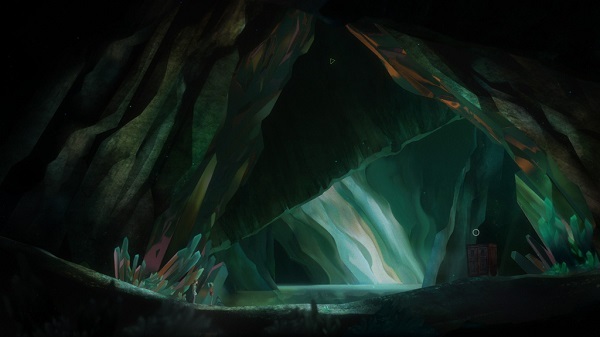 Oxenfree is a gorgeous game, with an absolutely stunning art-direction. It looks like its backgrounds, characters and objects are painted on a canvas and transposed to the digital medium. The score that accompanies the beautiful setting really sets the mood for a horror game, with well-chosen music and top-notch sound bites. I was so eager to play it and I even cancelled plans to hang out with friends, but, in the end, I wished I didn’t. I tried to like it, I really did, but its frustrating dialogue mechanics, its poorly written spooky teen drama plot and bad pacing ruined the whole experience for me. 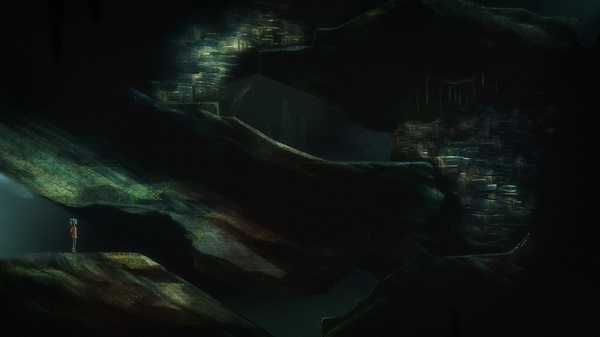 I love narrative-driven video-games, and I keep Dear Esther close to my heart and recommend it whenever I can, but Oxenfree simply isn’t good. And here is where we have our brotherly afternoon walk. It might make you think of Broken Age, but don’t be fooled – there are no complex puzzles to solve, nor intriguing plot-lines to follow. But, let’s start with the beginning. At first, it looks promising enough. 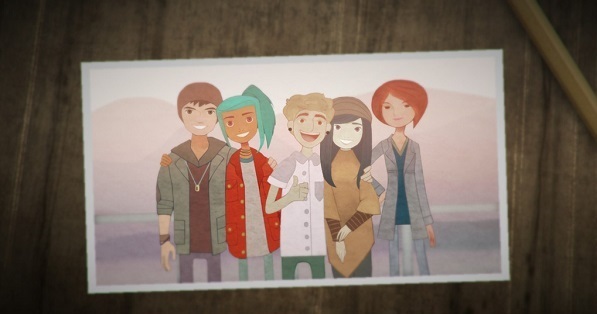 Oxenfree follows a group of teenagers set out for a weekend of R&R filled with booze, drunken nights on the beach, and all sorts of hip-things teens do nowadays. You control Alex, a blue-haired girl who is arguably the coolest of the bunch. She’s dealing with the loss of her bigger brother, Michael, as well as trying to get to know her new stepbrother, Jonas. On the island with Alex and Jonas is the blue-haired girl’s best friend, Ren. Now, Ren is your typical stoner teen, he is basically harmless, as Alex very well puts it. There’s also Nona, Ren’s crush, and the quirkiest and weirdest girl from Pacific Northwestern, and the shrew of the group, Clarissa. Clarissa used to date Alex’s deceased older-brother, Michael. The two don’t get along at all. This is where we have our brotherly midnight walk. The group’s plan of spending the weekend drinking and making mistakes is trumped by the discovery of a mysterious and supernatural weirdness. It uncovers the group’s vulnerabilities, as well as making them susceptible to possession. Boasting a few Telltale Games ex-designers, Night School Studio, the developer, tackles the same game mechanics that made that story-driven studio popular. Yet, even though at times it feels great, the result is a sloppy mess. Yes, every decision matters, and Alex has an influence on the overarching story, but your choices aren’t really that varied besides how you want to say no to a friend. 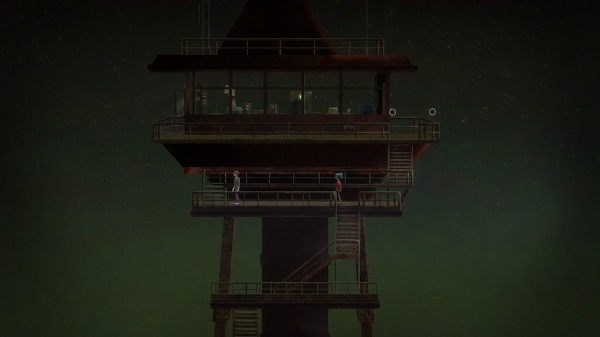 There are a lot of conversations going on in Oxenfree, and while they don’t fall in the cliche of young people talk, they are quite boring, to say the least. Maybe I don’t emphasize with the too-painfully-American teenager, but I just couldn’t stand Alex and Jonas talking about mundane things like – are you upset at me for saying that? Voice acting is indeed really great, but the script is downright poorly-written. This is where we brotherly sit, and gaze at the emptiness that is our life. The main topic of discussion is – what’s really going on? To unravel the secrets of the island, and find what’s really happening, Alex needs to solve puzzles using her pocket radio to access certain channels that provide info and unlock paths. It’s fun and interesting at first, but the seemingly great selling-point of the game turns pale and rather annoying. That’s just it – you need to turn left or right to progress into the game. There’s no complex puzzle to solve, besides the find the right channel, and there’s no clue on how to find it rather than aimlessly dialing left, or right. The sound-driven mechanic, while having a interesting concept and boasting a thought-through style, has little to none substance and is basically a huge dud. Ugh, this fog takes away from all of this brotherly teen angst. The only good part of the puzzles is witnessing how the screen distorts, trapping Alex, and the lucky ones following her, in a time loop. 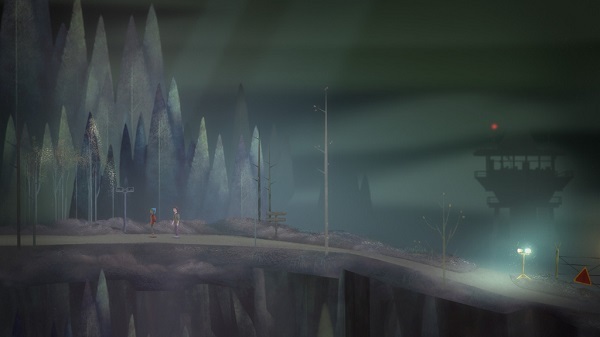 Graphics distort, objects are added, elements disappear, it’s quite awesome to see how these highly stylized manipulations change the setting, but, like everything else in Oxenfree, its novelty wears off faster than you can say refund. The game isn’t longer than six hours. There isn’t anything to see, really. There are a few collectibles to gather, but that’s about it. My second playthrough clocked three and a half hours. This is where I have my morning brotherly walk, without my brother. 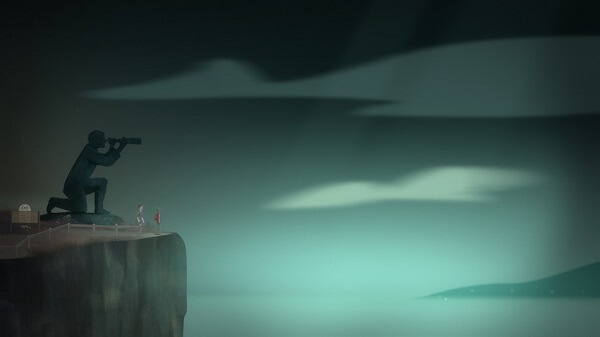 Why did I replay Oxenfree if I hate it so much? Well, because there are several endings, and I wanted to see how the story evolves if I don’t make the same decisions as my first time around. I say decisions, and not mistakes, because there really aren’t mistakes to be made. When the three bubbled-options appear, you have to respond naturally to the situation. Yet, I was quite disappointed in the lack of change throughout the game. Only the ending is concluded differently, and that’s it. I had to go through the same annoying dialogue mechanic just for a different ending, wrapped in a too-similar medium. The three bubbles, which can you choose to respond to conversations and situations, suggest deviating plot-lines, based on their color. Alex’s friends will seldom react to what you, or somebody else, said by displaying a thought bubble of their own with someone’s face on it. I’m getting sick and tired of all this brotherly walks thing. Oxenfree doesn’t tell you if that’s a good, or bad thing. Is Ren happy that I reacted that way? 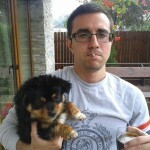 Is Jonas upset at me because I don’t agree with his lack of attention to surroundings? More so, the cherry on top, the dialogue mechanic is fundamentally-broken. There’s a conversation going on, and if you decide to react faster, the game won’t wait for the current chat to end, it abruptly disrupts the conversation and continues with the new decision. Ultimately, I recommend, if you do indeed play it, to turn on your subtitles, as to not feel cheated out of a story – a mediocre one at its best. I take it back. I want my brotherly walks. And the last thing to talk about before I deliver my, surprising no one, verdict is the pacing. Characters don’t usually run, and when they do, don’t expect it to be a major improvement on walking. Levels are fascinating, and I applaud Night School Studio for their ingenuity, but they really need to work on pacing a little bit. Sure, levels are thought to last conversations, but when there isn’t any, or you backtrack, it feels tedious walking, slowly, to the left of the screen, wasting a lot of time unraveling the same old setting as you did moments before. From left to right – Lack of self worth Jonas, I’m cool because I dyed my hair blue Alex, 420 yolo Ren, I don’t talk because I think that I’m better than you Nona, and I know that I’m better than you Clarissa. Don’t you just love teenagers? It has a ton of potential, but it doesn’t live up to it. Its length is thoroughly disappointing, but considering that it offers a boring narrative-driven experience, I’m quite glad that it’s so short. As I said before, the art-direction is incredible, and I just love how perfectly the score accompanies the game. I don’t mind a coming of age story, I really do appreciate a well-made one, but this doesn’t posses anything that resembles a plot-line. Sadly, I can’t recommend this game, and trust me, I tried to like it. 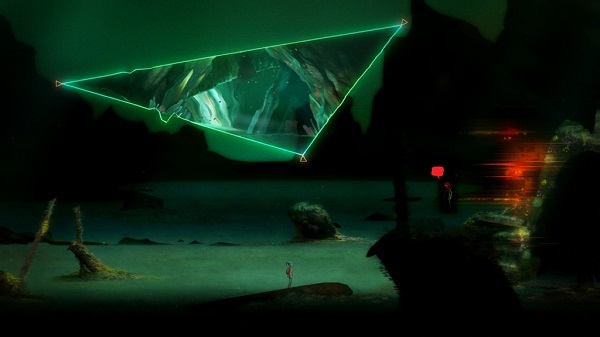 Download Oxenfree from Steam or Xbox Live – it costs $20. 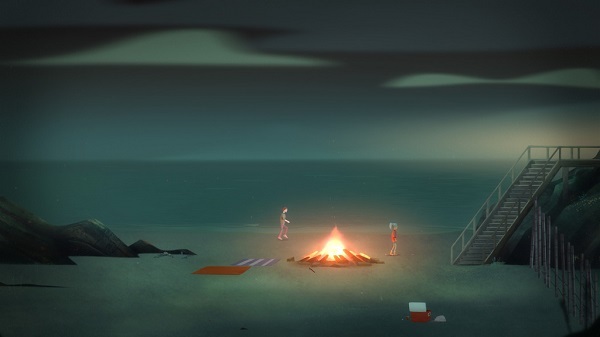 Oxenfree is available for Windows, Mac, and Xbox One. A PlayStation 4 version is currently in the works.